with Stunning Views of 330 Acre Stillwater Lake! This Adorable Chalet on Bobcat Trail with the Stunning views of Stillwater Lake is no longer available. Sorry Buyers - you missed this one. Priced right and with a location to die for this was a highly sought after home. Many could not see the fabulous value of this property. You cannot put a price tag on phenomenal views of the entire 330 acre Lake, but this Buyer did and so did those who were watching the home. CONGRATULATIONS to all parties involved! Just Sold! Adorable Lakefront home in the Poconos with Stunning Views of 330 acre Stillwater Lake! Are you looking for a Lakefront Realtor to help you sell your home on the Lake in the Poconos? 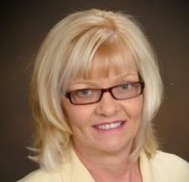 Contact the most frequently hired Realtor for Lakefront homes in Stillwater Estates, Bobbie Smith. Together, we can get you to your Goal - SOLD! Congratulations on your sale! Great price. You're off to a good start for the year. I had to look twice at the price. That's an incredible chalet and a lucky new buyer owns it now...Congratulations! Congratulations on your recent sale. Very nice house, and nice job with your presentation. Bobbie, congrats! What a picturesque site on the lake in the Poconos...these buyers were so fortunate to find you and this house. Hi Bobbie. Congrats on the sale of 131 Bobcat Trail in Pocono Summit, PA. Well done! Congratulations, Bobbie! I'm sure the new owners are so thrilled. Good Job Bobie, Love those words, Solds, You are the best in the area, keep it up. Another lakefront home in the Poconos has been SOLD, courtesy of Bobbie Smith. Congrats! Hi Dee, Thanks so much. It's the start of bigger things to come. Larry and Sheila, Yes-our prices are dirt cheap - it was a great deal. Thanks. Hi Richard, Thanks for the compliments. It is a great home. Hi Ginny, It is a fabulous location. These buyers got the buy of the century. Thanks. Thanks Gabe! It was a great closing to add to my collection of Sold Lakefront Homes. Hi John, Pictures can not even capture the awesome views this property brings. Sunrises and sunsets are awesome and how often do you get that! Thanks. Hi Alexandra, Thanks so much. It was very rewarding to close on this home. Hi Suzanne, We sure hope so! It is one of the best properties on the Lake. Hey Will! Thanks so much. I love my Lakefront Homes! My seller is a wonderful person and I will miss not speaking with her on a regular basis. Yeah Anita! Another Lakefront SOLD. You bet. Thanks so much! Appreciate you taking the time to stop by. Hope you are feeling better real soon! Congratulations on the sale of 131 Bobcat Trail Pocono Summit, PA 18346 Bobby. Here's to many more. Hi Noah, Thanks so much!